ผมเป็นหมาขี้เหงา ใจดี ไม่กัดใคร และจริงใจสุดๆ มาเป็นเพื่อนกันน้าฮะ โฮ่ง! ….……* To make this point, I should like to tell the story of Taro. You could call Taro an academic dog. He lives for and with the medical school students. He goes to class with them, listens to the lectures and spends time in their recreation room, where he sleeps. The students and Taro are inseparable. 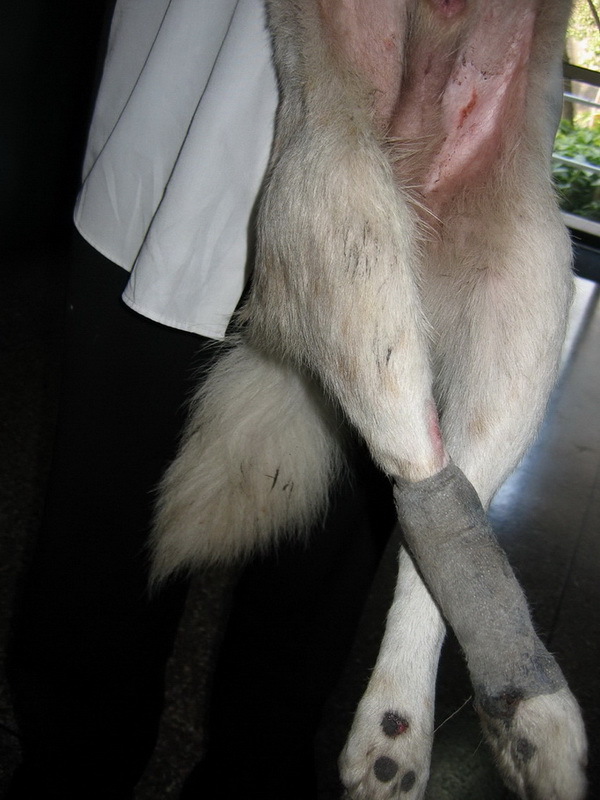 One day Taro was run over by a car. 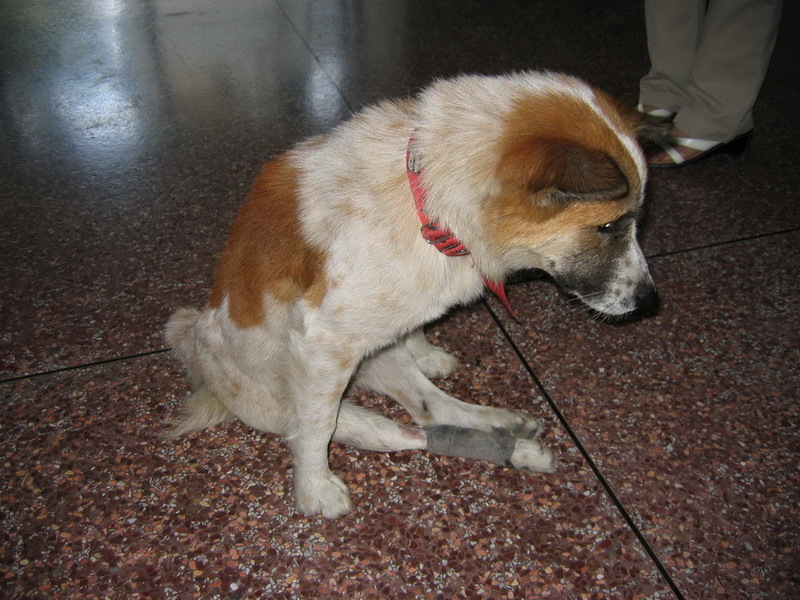 He did not die but his hind legs were paralyzed. The students repaid his devotion and took turns to look after him. 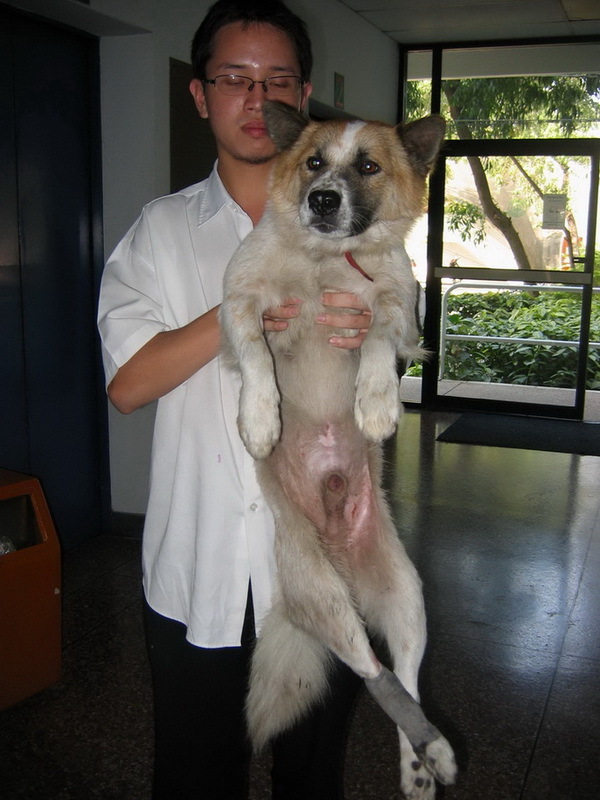 One day Lanna Dog Rescue heard about an Acupuncturist specialized in dogs. 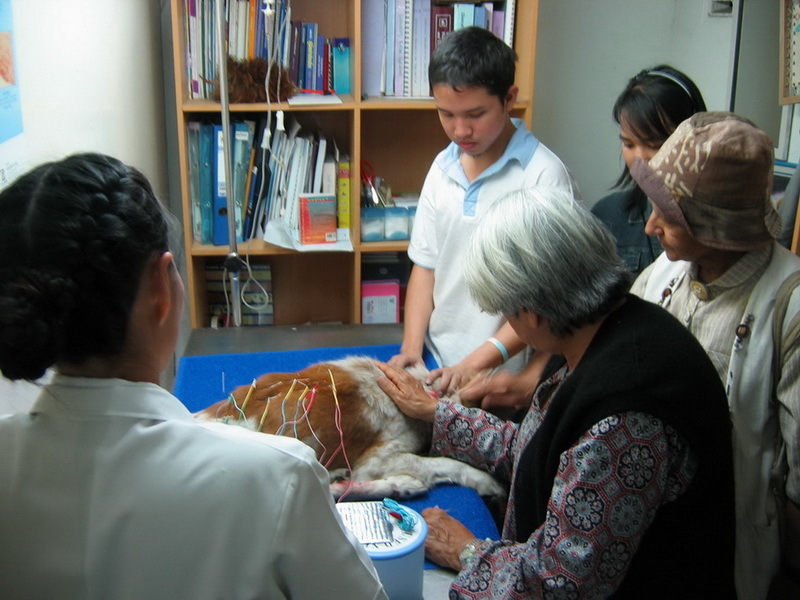 Ajaan Wilaiwan organized a visit to the acupuncture vet, who when she heard the story of Taro promptly said she would treat him free. Then a remarkable thing happened, students and teachers, secretaries and academics who were never very close, suddenly joined together around Taro. 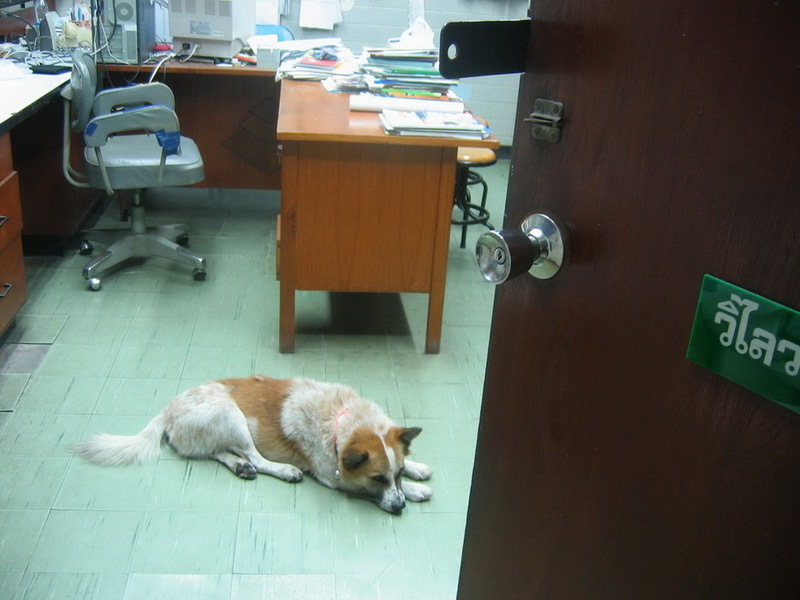 People came closer together to help this little stray dog, who even when he was paralyzed tried to follow his beloved students to their classes. Taro went to the acupuncturist for months. The students fed him, massaged his legs and kept him warm. And then the wonder occurred. After months of treatment, little Taro began to walk again. He walked a little lopsidedly but he managed to walk. The joy in the medical school was great. They felt they all had achieved something together. 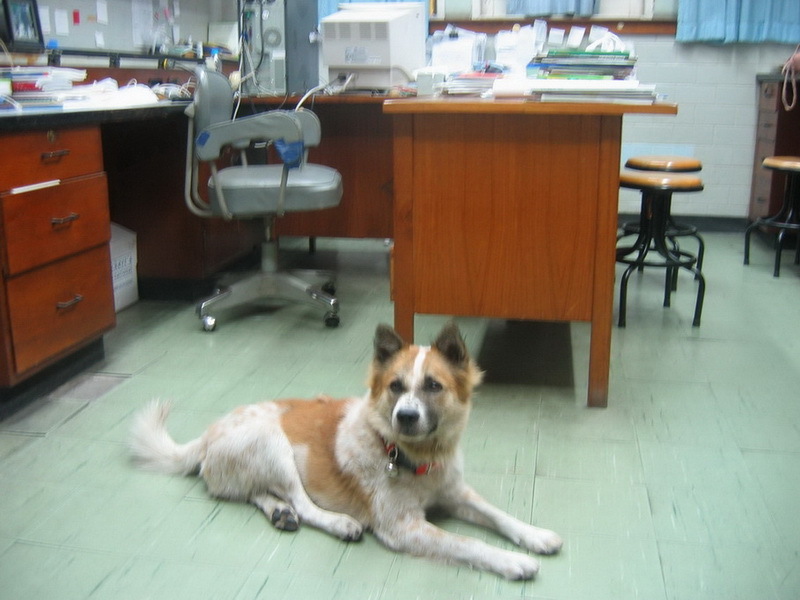 Taro’s story has made the Faculty of Medicine aware of animal welfare. 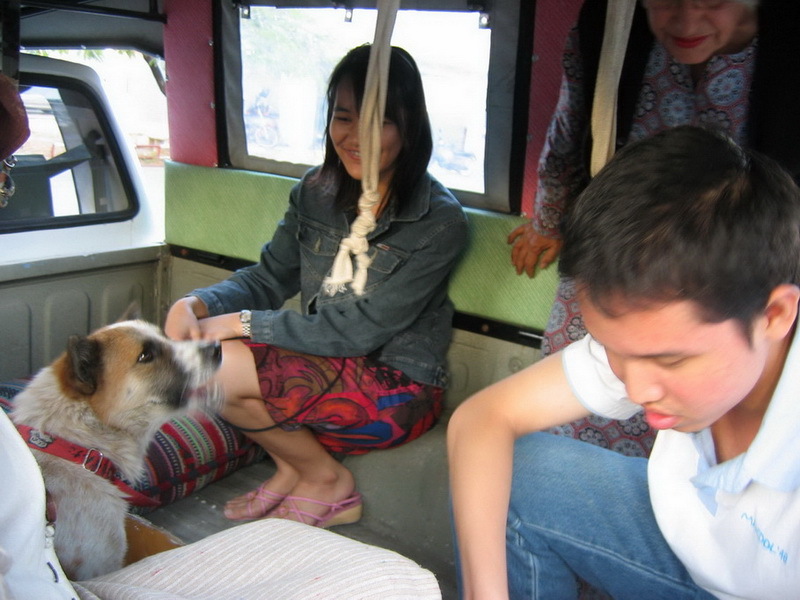 The result was that LDR cooperated with the Faculty to sterilize 49 of their stray dogs and cats. 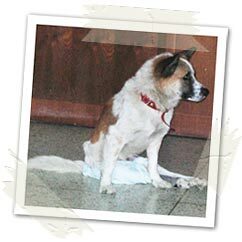 To create a healthy and hygienic environment, and to help the stray dogs, the Faculty now plans sterilizations twice a year and they will also provide LDR with the necessary medicines. 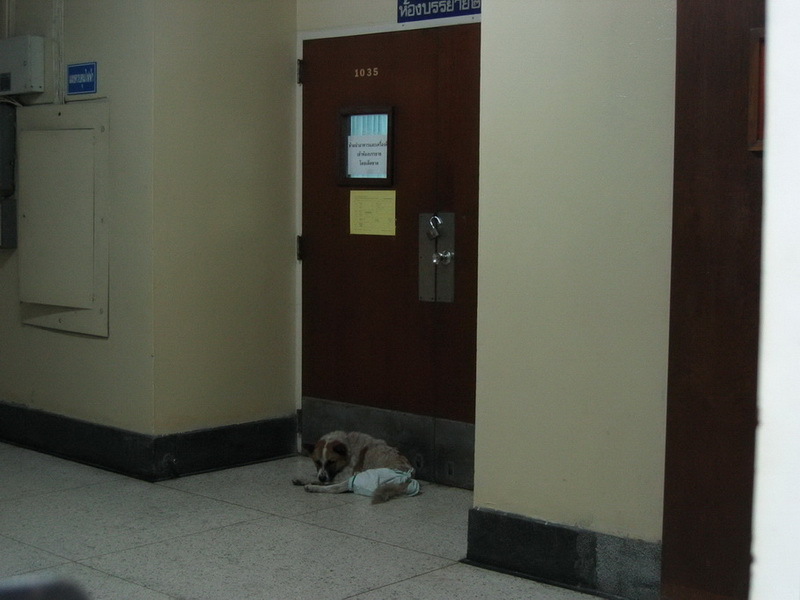 Today, at the Faculty of Medicine you can sometimes see a little dog in a warm dog coat wobbling a little but still following his students to their classes. Everybody knows him and greets him. And if you ask why we volunteers in LDR spend so much time and energy on the stray dogs it is because of the many, many Taros we meet. These dogs bring out the best in us. We become better people because of them…….